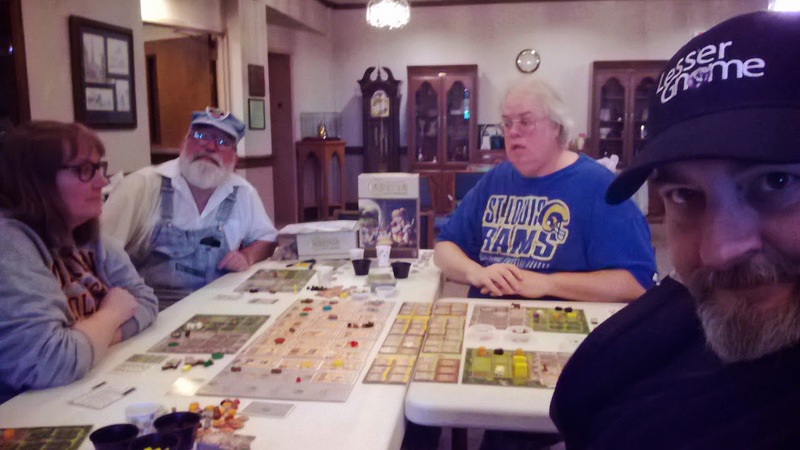 The winter in the northern Midwest USA, combined with the holiday season, can often mean a slowing down of convention and gameday opportunities but the spigot isn't off altogether. 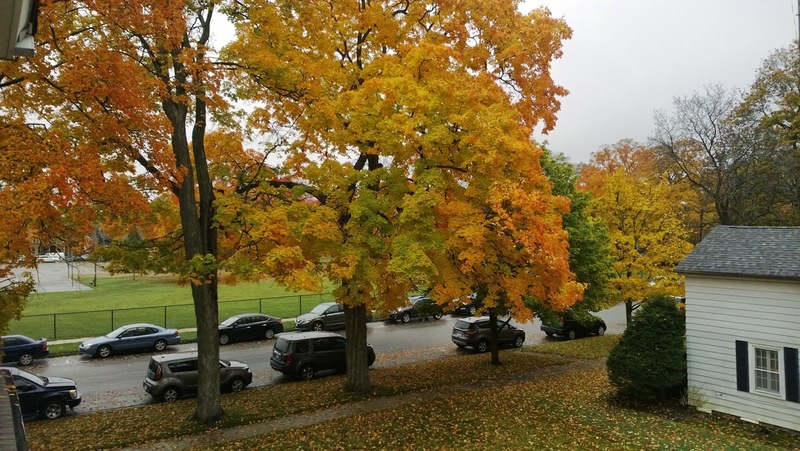 There are any number of weekend opportunities to game prior to our Thanksgiving weekend as well as some local gaming that I plan to enjoy in the beautiful Lake Geneva region. The third Saturday and Sunday of November, and indeed almost every month, includes the Burlington Gameday on Saturday, November 15th which sets up events through the Burlington UCC Game Day group on Facebook here and A Gathering of Gamers on Sunday, October 16th, set up by the South Lakes Area Gamers here. The former is in Burlington, WI at the Plymouth UCC space and is free taking place from approximately 11 am to 5 pm. The latter takes place at the Pizza Ranch in Elkhorn, WI, and requires a $12 fee for the all you can eat pizza and fried chicken buffet (salad bar, soft-serve ice cream machine, etc.) plus unlimited soft drinks and coffee from 11 am to 8 pm. 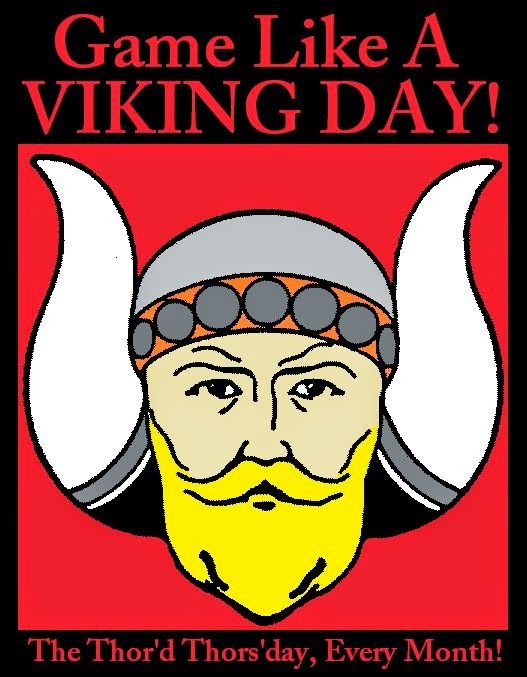 Be sure to make your plans for November 20th, the "Thor'd Thors'day" of November, since it is the monthly Game Like a Viking Day! It's a chance, no matter where you are, to break out your Viking-themed tabletop games and have at it. See more of this ongoing monthly day of fun on the Facebook page here. There's some gaming to be had at Rhode Island Comic Con which begins November 1st at 10 am and runs through November 2 until 5:00 pm at the Rhode Island Convention Center in Providence, Rhode Island 02903. Also in November, GameHole Con in Madison, WI, runs for three days November 7th through 9th. Also, November 7-9 at the Killington Grand Resort, Canage on the Mountain present A Fist Full of Carnage. TsunamiCon 2014, happening November 7th-9th, has hit their Kickstarter goal (and has a few days left to get on board here) and takes place at the Hotel at Old Town in Wichita, KS. Be sure to check out U-Con in Ann Arbor, MI, November 14th, 15th, and 16th at the Marriott. Later, the HavenCon Games Day is being held at the Urbana Volunteer Fire Department Banquet Hall in Frederick, MD, Saturday, November 15, from 10 am to 10 pm. Some of this information is gleaned from the excellent lists (which you can check for even more event information!) on upcomingcons.com/gaming-conventions, GameConventionCentral.com, HMGS (the Historical Miniatures Gaming Society), and as well as many, many gamers on Facebook and Google Plus, to whom I am grateful for the help in this compilation. Thanks so much and have a great game!